Auric Auto in Claremont loaned Kerry-Anne and I a Mini Cooper for the day yesterday. 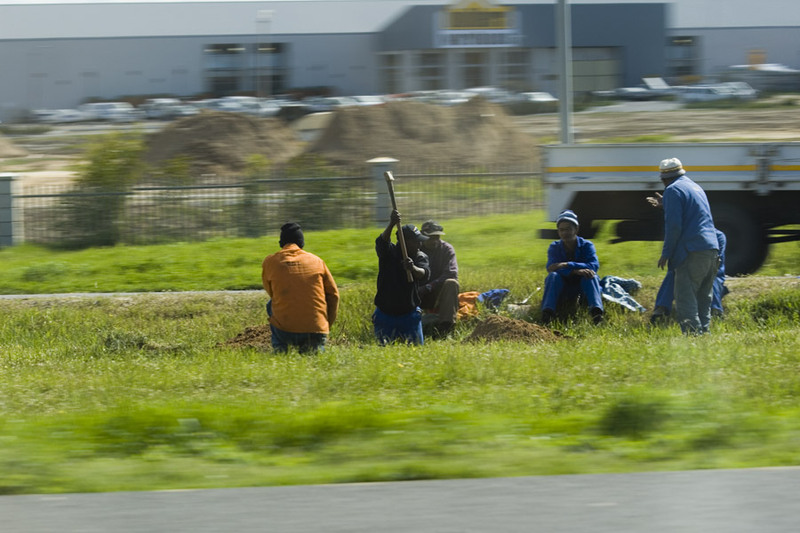 This photo was taken from the Mini as we sped past these guys digging a hole (or perhaps a trench) alongside the N1, one of our national highways. From our vantage point it looked as though only one of the six was working. Perhaps the guy wielding the pick-axe had lost a bet, or maybe he was just really committed to his job and decided to give his tea-break a miss. Who knows...? Posted in General on Wednesday, 5 September, 2007 by Paul.